aSa’s automated barcode system eliminates the time and hassle involved with counting stock and remnants, tracking their location, and managing heat and mill cert information. You’ll always know ‘what,’ ‘where,’ and ‘how much’ for every bundle you have on-hand. The entire process is automated using barcode scanning technology. To relieve inventory, simply scan the bundle’s inventory tag. Enter heat information and scan mill certs when material is received. When used in conjunction with Material Tracking, Bundle Inventory automatically associates the heat number to the produced items. Knowing exactly what material you have on-hand, and where it is in your shop, helps you make quicker smarter production and material purchasing decisions. Print stock tags and track on-hand quantities of mesh, bar supports, and other accessory items in addition to your rebar. 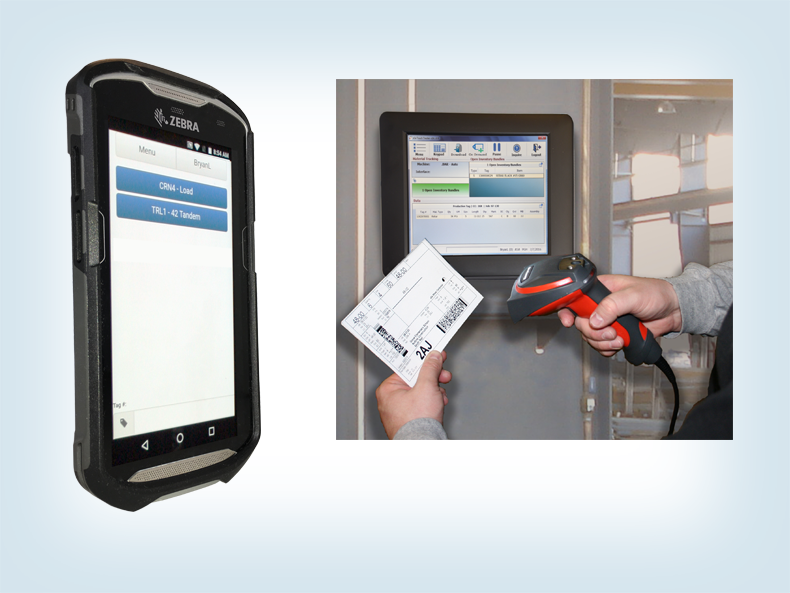 aSa Bundle Inventory tracks on-hand stock and remnant material by combining the portability and convenience of a hand scanner with the power of database-driven information storage. 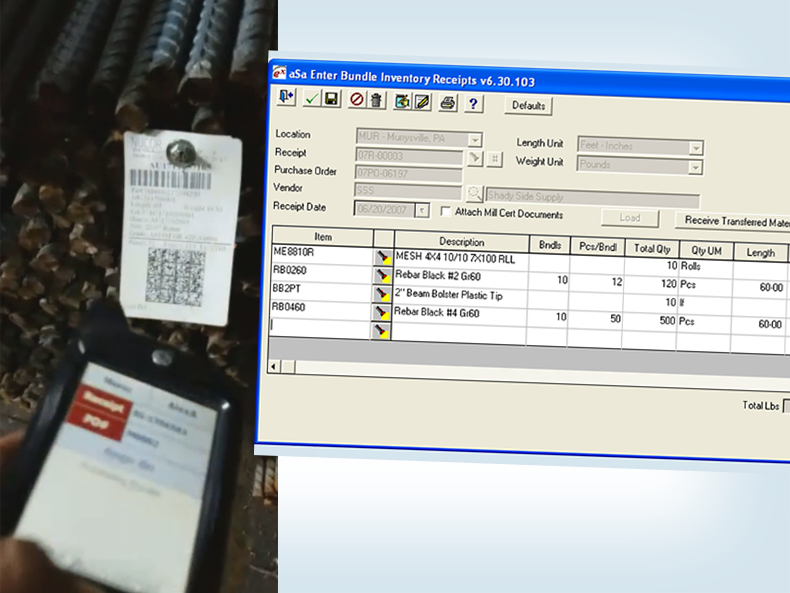 When a mill bundle is opened, simply scan its stock tag for real-time inventory relief. The system also simplifies material receipts, remnant tracking, and book to physical reconciliations. 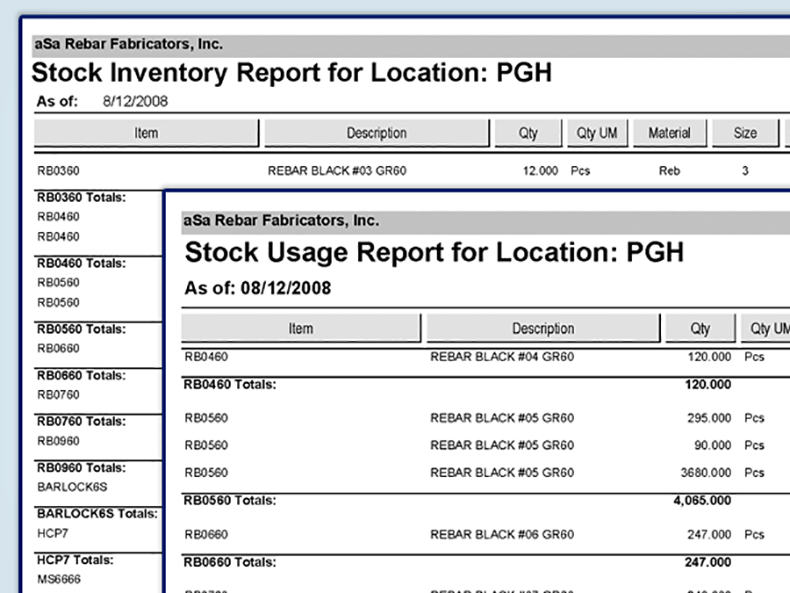 Additionally, flexible reports show you the quantity, location, and value of your on-hand material. Everybody wants mill certs now, and (thanks to aSa) we provide bona fide mill certs every time. The customers love it. Scroll through the screens below to explore just a few of the many benefits of aSa Bundle Inventory. Receive material into inventory by scanning mill bundle tags (if your mill uses crsi-recommended format barcodes) or with the easy entry screen. 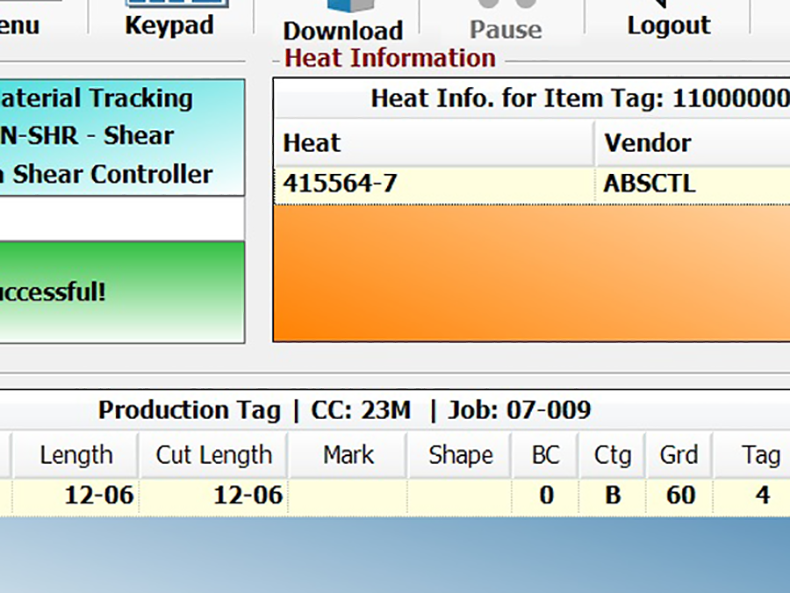 As you open bundles for fabrication, heat information is automatically associated to your produced items. Always know the quantity and value of the stock and remnant material you have on-hand. aSa supplies and supports high-quality scanning devices for all of your tracking needs.